As you may know, many actors who appeared in "The King Loves" have been maintaining very close relationship with each other even though it has been a long time since they finished filming the drama. They often meet each other and have a good time together. And of course, Girls' Generation's Yoona, the leading actress of the drama, is a key member of the young actors' meeting. Even though she is a super star, she's always kind to everyone, and the good-hearted female k-pop star is the one who is very popular among her friends. So, are you curious to know how Yoona's friends think of her? 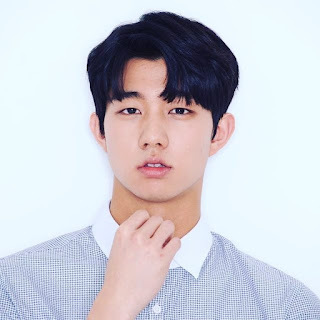 Ki Dohoon, who has appeared in "The King Loves" with Yoona, was recently interviewed by a Korean media outlet and talked about the k-pop star. Check out what he said. We've been through a lot together for about 7 months. That's why we're close-knit. All the actors who are older than me such as Lim Siwan, Hong Jonghyun and Yoona treated me so well. It was an amazing experience to be with so many great young actors. Especially, I think Yoona is a born celebrity. I believe "angel" is the most appropriate word to describe her. She's a considerate and sensitive person, and there's a lot I can learn from her. If someone told me to live like her, I would never do the same as her.